Our team continuously works to ensure that the flexiVent provides the most accurate and reproducible data. 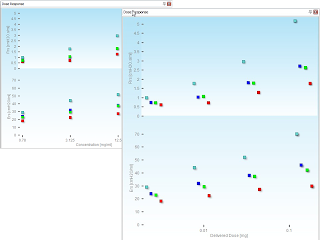 Our latest software development, flexiWare 7.5, introduces a major refinement to dose response data. The software estimates the dose delivered to the subject and automatically generates a dose response curve. Plotting against delivered dose, rather than concentration, standardizes the collected data. This also allows for accurate comparisons between groups using different equipment or nebulization protocols. 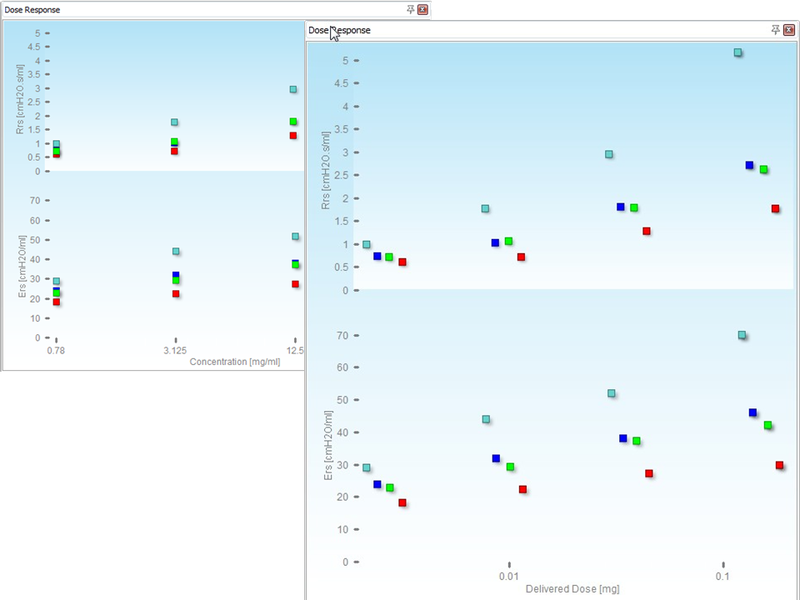 Since the release of flexiWare 7.5, we have continued to refine the dose response. Our most recent improvement allows for characterization of losses due to rain-out when calculating the dose delivered to the subject. By characterizing individual configurations, we are able to determine the fraction of nebulized compound that reaches the subject during nebulization. With all of these refinements, we continue to bring further accuracy and reproducibility to typical dose response studies.